First official clip of 'Batman: Gotham by Gaslight' sees Poison Ivy meet Jack the Ripper – AiPT! 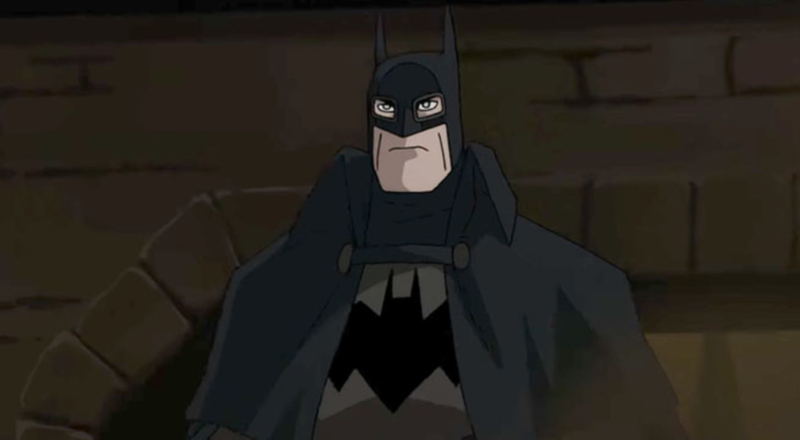 The first official clip from Batman: Gotham by Gaslight sees a familiar Batman villain have a run-in with a mysterious stranger in a dark alleyway. Batman: Gotham by Gaslight is an upcoming DC Universe Animated Original Movies film set in the Victorian era and based on a one-shot Elseworlds graphic novel (by Brian Augustyn and Mike Mignola) of the same name. Gotham by Gaslight sees Batman as the vigilante guardian of Gotham City circa 1889 and pits the Dark Knight against the infamous Jack the Ripper. In an age of mystery and superstition, how would the people of Gotham react to a weird creature of the night, a bat-garbed vigilante feared by the guilty and the innocent alike? The very first Elseworlds tale re-imagines the Dark Knight detective in the Victorian era and puts him against the infamous serial killer Jack the Ripper. Batman: Gotham by Gaslight is set for a February 2018 release and will feature Bruce Greenwood as the voice of Batman, Jennifer Carpenter as Selina Kyle, Anthony Head as Alfred Pennyworth, John DiMaggio as the Joker, and more.